The War inside your Mouth! Plan on staying healthy and keeping your teeth for life? At Your Smile Dental Care we know the value of a smile, but with so much attention given to one’s smile, it’s easy to overlook other important elements of your mouth. Taking care of your teeth and gums isn’t just about preventing cavities or fixing broken teeth, your mouth is a gateway to your body’s overall health. More than 600 different species of bacteria, 70 to 80 different types of fungi and a few viruses and parasites make their home in your mouth. Although some are beneficial to our health, it is important to keep the number of harmful ones in check with proper oral hygiene since they can double in numbers in only a few short hours. Inflammation in the mouth can lead to inflammation in the rest of the body and people with compromised immunities must be even more diligent in keeping their mouths healthy and clean. If left untreated, conditions like gum disease can leave you at risk for life-threatening conditions in other parts of the body. During gum disease, oral bacteria gets into the blood stream and your immune system must then work to fight them off. Although different studies may report different conclusions, the chronic infection that forms during gum disease unquestionably poses a risk for various kinds of bacterial growth and infection elsewhere in the body. Brushing and flossing is more than you think! Once you understand the link between poor dental hygiene and the wide variety of health conditions that can result, you will begin to appreciate just how important it is to keep your mouth as clean as possible. Studies also indicate that a staggering number of people still do not floss their teeth daily. Since tooth brushing only cleans 3 of the 5 surfaces of the visible tooth structure this means that they are missing 40% of their teeth depending on the size and shape of each tooth. Brush & floss like your life depends on it … because it does! Brushing and flossing your teeth at least twice a day should be considered an essential not optional part of your daily routine. We all should be taking the matter of caring for our teeth very seriously and be careful not to rush through the time we spend cleaning them. And because germs live on the tongue, cheek and gums as well we can’t forget to clean these areas also. We have noticed over the years that our patients with excellent oral hygiene tend to have better health care habits in general. A single step in the right direction can have an immediate impact on the condition of your mouth. You would be surprised at how quickly bleeding gums start to improve in both appearance and colour by spending just a few more minutes each day keeping them free of bacterial plaque. Using floss and interdental brushes to get in between teeth and under gums will help to make a significant improvement and reduce bleeding. Maintaining a healthy diet and reducing the frequency of snacking between meals will also help to create a better environment in the mouth and keep the bacterial population down. The good news is that…..
At Your Smile Dental Care we believe that an educated patient is an informed patient! We go a step beyond simply repairing dental problems and creating beautiful smiles. We strive to get to the source of a problem and prevent them from reoccurring rather than constantly treating them. 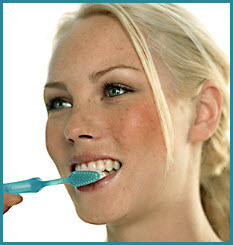 We take the time to get a broader picture of your overall dental health and reassess how effective your home care is. By updating your medical history often and reviewing your medications we can determine if there is anything that may be compromising or impacting your dental health. Thanks to our preventive program we have children in our practice that have never had a cavity and adult patients who have not had a dental problem in years! Finding a good dental healthcare provider can help you keep you teeth for a lifetime and in doing so may possibly save your life as well! If you’re looking for a preventive care dentist in the Oshawa or Toronto area give us a call today. You’ll be glad you did! Next postSuffering from Dry Mouth?